Okay, the real title of that movie was ‘They Call Me Mister Tibbs’, which starred Sidney Poitier and came out in 1970, so we know we are showing our age. We just couldn’t resist the word play – forgive us! We DO want to talk about tubs in this post; soaking, freestanding, built-in, claw-footed, contemporary – you name it – you can find one. There are quite a few considerations to think about when redesigning a bathroom to accommodate a tub – with the size of the room being the biggest concern. Freestanding tubs, while eye-catching, need room on all sides. Room not only for the tub but for accessories; the floor-mounted tub filler, perhaps a stool where you can remove your slippers before you step in to the tub and where oh where do you put the shampoo so it’s within your reach? These are the things that keep us up at night – we are that passionate about bath design. 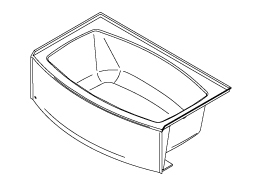 What ‘type’ of tub – this information comes from Kohler’s website and it is extremely helpful. This corner tub has something called BubbleMassage hydrotherapy which sounds relaxing and rejuvenating at the same time! This installation option is ideal when the bath is the focal point of the room. Accessible from all sides, the freestanding bath highlights the beauty of the design. 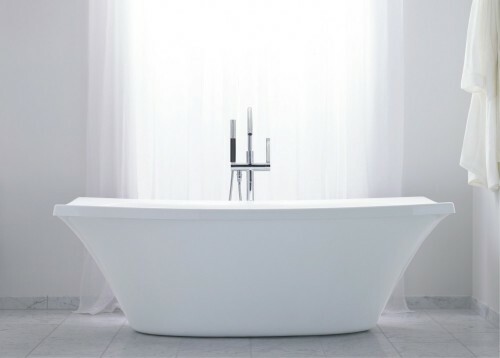 So, what have we learned – size, shape and style are major considerations when choosing a tub. 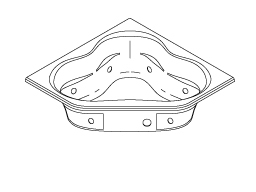 If you want more bells and whistles you can get a whirlpool tub; Bain Ultra has LOTS to choose from. Once you’ve chosen your tub, don’t forget to figure out where your accessories will go – you do not want to be having a wonderful soak only to find out that you had neglected to find a spot for the shampoo and soap. In our next post, we will showcase floor-mounted tub fillers, since the options are plentiful for this product — and it’s something that people don’t always think about because their thoughts are usually more about being IN the tub then thinking of what’s around the tub. Again – here at The Ultimate Bath Store — we obsess over every detail. It’s part of our DNA, and when we tell you to go soak your head – we mean it in the best possible sense.